I repeatedly ask you questions in headlines, because I ask myself. This one is top of my mind following today's Samsung Galaxy S III announcement. My eyes bugger at the differences in size, features and most importantly benefits -- the majority of those coming from Samsung skinning Android 4 into seeming oblivion. It's hard to discern a way that Galaxy S3 isn't superior to iPhone 4S. If iOS 5 looked antiquated before, and it surely did, Samsung's TouchWiz-modified Ice Cream Sandwich makes it suddenly ancient. But the question is bigger than hardware or software. Samsung isn't the world's No. 1 handset maker overall and in smartphones by lark. Apple is known for focusing on delivering benefits that matter, sometimes at the expense of hardware capabilities, and truly aspirational marketing. Galaxy S III evokes these qualities, with something more: real benefits without sacrificing hardware capabilities while using software to enrich the human experience. Then there's the aspirational marketing, as seen in the embedded video. Samsung does something Apple-like, only better. Note: When I first started writing this post, I embedded the commercial from Samsung's YouTube; since, the video was made private. Fortunately, other people grabbed the video and uploaded to their YouTubes. Colleague Tim Conneally serves up Galaxy S III basics in today's news report. I want to drill down a wee further looking at them in context of iPhone 4S -- and Galaxy Nexus, too. I include the other Android phone, as it's the only pure Ice Cream Sandwich model available, Google now sells it direct and in context of GN I asked last year: "Are iOS 5 and iPhone 4S already outdated?" Today's question goes further. Let's start with the hardware, which also sets the bar for iPhone 5. 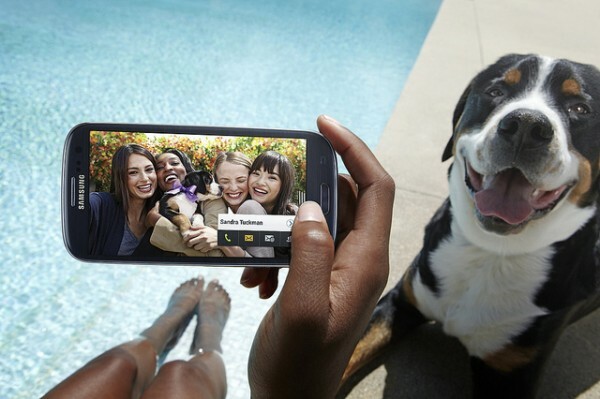 Galaxy S III: 4.8-inch Super AMOLED display (306 ppi) with 1280 x 720 resolution; 1.4GHz quad-core processor; 1GB RAM; 16GB or 32GB storage (64GB in future), expandable with microSD card; HSPA＋ 21Mbps (850/900/1900/2100), 4G LTE, GSM/EDGE (850/900/1800/1900); 8-megapixel rear-facing and 1.9MP front-facing cameras; LED flash; zero shutter-lag; 1080p video recording; accelerometer; ambient-light sensor; gyroscope; GPS; proximity sensor; digital compass; NFC, Bluetooth 3.0; WiFi N; 2100 mAh battery; carrier locked; Android 4.0 and TouchWiz "nature" UI. Measurements: 136.6 x 70.6 x 8.6 mm, 133 grams. Galaxy Nexus: 4.65-inch Super AMOLED display (315 ppi) with 1280 x 720 resolution (100,000:1 contrast ratio); 1.2GHz dual-core processor; 1GB RAM; 16GB or 32GB storage; HSPA+ 21Mbps/HSUPA (4G LTE from Sprint or Verizon), 5.76Mbps (850/900/1900/1700/2100), EDGE/GPRS (850/900/1800/1900); 5MP rear-facing and 1.3MP front-facing cameras; LED flash; zero shutter-lag; 1080p video recording; accelerometer; ambient-light sensor; barometer; gyroscope; GPS; proximity sensor; digital compass; NFC; Bluetooth 4.0; WiFi N; 1750 mAh (HSPA+), 1850 mAh (LTE); carrier unlocked; Android 4.0. Measurements: 135.5 x 67.94 x 8.94 mm, 135 grams. From a straight hardware perspective, Galaxy S3 outclasses iPhone 4S in most ways. Faster processor, LTE, front camera HD recording, memory expansion and more. Difference are much less compared to Galaxy Nexus or newer Androids, however. Galaxy Nexus and iPhone 4S are available now. 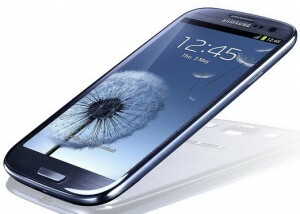 Galaxy S III launches on May 29 in Europe and over the summer in other geographies. Americans waited a long time for Galaxy S II. Samsung best not repeat later launch here and in China. Apple offers iPhone 4S through 230 carriers in 100 countries. Samsung promises 296 carriers in 145 countries. Distribution is everything -- well that, perception and marketing. Much depends on how quickly S3 launched globally compared to Apple releasing iPhone 5 -- or whatever it's called. New iPhone wouldn't surprise now, given third-generation iPad naming. Apple and Samsung are engaged in a bitter patent dispute, with the iPhone maker alleging, among other things, copying. Not that Apple is a stranger to this. From a mid-1990s cofounder Steve Jobs interview: "Picasso had a saying, he said: 'Good artists copy, great artists steal'. We have, you know, always, ah, been shameless about stealing great ideas". I preface this next section such, because of what Samsung has done remarkable here to out-Apple, well, Apple. The original iPhone stood apart from all other phones, not just smart ones, for its humanness. Touch, and its intimacy, and the way the handset responded to your proximity gave it a human quality. Suddenly the phone wasn't an inanimate object but more living thing. Apple extended humanness with each new model. Siri is best representation in iPhone 4S. Samsung seeks to bring this quality to Galaxy S III, and it's centerpiece to the product marketing. These human characteristic also derive from Ice Cream Sandwich and Galaxy Nexus. During today's launch event, Samsung Mobile tweeted what succinctly describes the product design and marketing approach. Galaxy S III "is effortlessly smart and intuitively simple, and is a phone that sees you, listens to you and understands what you want". I'll highlight just a few examples, many from the commercial embedded up top. Smartphone proximity sensors turn off the keyboard when the device approaches the face, a capability that set apart iPhone in June 2007. It's standard feature everywhere now. Galaxy S III adds new responsiveness. For example, the front camera detects whether the user is looking at the phone and keeps the screen lit. How many times has your display gone dark while reading a website or ebook. The phone also can automatically turn on, if recognizing your face. These is two related capabilities would make tech headlines everywhere, if introduced by Steve Jobs. They also add the kind of human responsiveness that once set iPhone apart from every other handset. Something else: The feature, called "Smart Stay", is real innovation, not Samsung copying Apple. It's also stark example of Samsung out-Appling Apple by focusing on features that offer real benefits -- that are magical and truly useful rather than making a checklist of hardware components priority. Software development is an Apple hallmark, a differentiator coupled to hardware design. Samsung can do, too. Another example: You're in the middle of texting someone and decide to call instead. Lifting the phone to your face places a call to the recipient. Or perhaps you take a photo of someone, Galaxy S III enhances your social life using facial recognition capabilities to identify friends and link to their social networking account. Right, Facebook and Twitter. There's much more, but I'll end with S Voice, which is as close to a Siri competitor as you'll find right now -- and it understands 8 languages! You can wake the phone by voice command ("Hello, Galaxy" is changeable default). Sure Apple could, ahem, copy Samsung add something similar to iOS. But it's little touches to detail like this one that once defined Apple design. Demos are one thing, real world usage is another. But from the perspective presented today, Samsung makes the S3 more human, more responsive to you, all while adding practical benefits useful to you and the people important to you. What's iPhone done for anyone since App Store opened in July 2008?